Arteche has developed and delivered some new transformers capable of operating in the most demanding service environments, at more than 4,000 m.a.s.l. and in extreme seismic conditions, in order to comply with the demands of our customers. 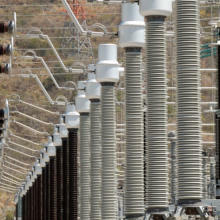 It also has adapted a range of voltage transformers to meet the demands of the markets in which Arteche occupies a position of reference, to adapt, for example, to the reduction of loads or to the greater number of secondaries required, which allows off ering diff erent constructive confi gurations. Both innovations allow cost savings with respect to the preceding solutions, since they ensure the continuity of service in the most complex places in the most unfavorable circumstances.